Samsung Finland recently revealed an interesting piece of info that basically adds a product from 2012 to the list of devices that will be updated to Android 5.0 Lollipop. 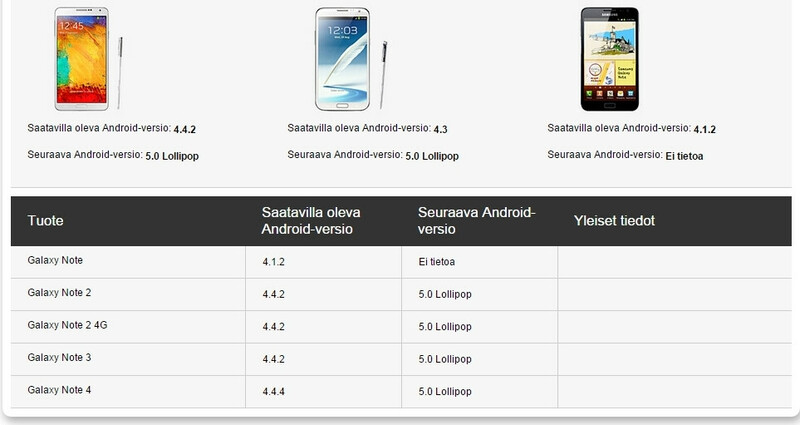 According to a support page found at Samsung Finland’s official website, the venerable Galaxy Note II (or Note 2, call it what you will) is among the Galaxy handsets that should get Lollipop at some point - though it’s not mentioned exactly when this is supposed to happen. Usually, manufacturers don’t provide software updates for devices that are older than two years, but it looks like the Galaxy Note II (which is now 2 years and 3 months old) is an exception to the rule. Hopefully, Samsung will properly confirm this soon. As previously reported, the Galaxy Note 3 and Galaxy S4 will also receive Lollipop updates. And, of course, all of Samsung’s important devices released this year (like the Galaxy Alpha, Galaxy Note 4, or Galaxy Note Edge) are on the to-get-Lollipop list as well. Samsung already started updating the Galaxy S5 to the latest version of Android, and the next waves of updates is expected to begin in early January. We’ll be here to let you know when things start moving! Great! This also means that there's a high possibility for my Galaxy Note 10.1(N8000) to get the same update. Kudos to Samsung! They share same CPU and RAM. If L were not available for Note 8.0 and 10.1, brilliant devs would do porting. Waaoow... Great News! Thank You Samsung! Note 2 has always been a great device to me. Given it away to make way for new devices. I love my note 2 and it does just fine. But 5.0 might be a nice edition. I've a Note II, and updates are the only thing I like in samsung. It will turn out to be a false positive. We know Sammy. I can only hope Verizon will update it before the Note 6 comes out. I'll look for a newer device, thanks. Olden but Golden..love my Note 2..